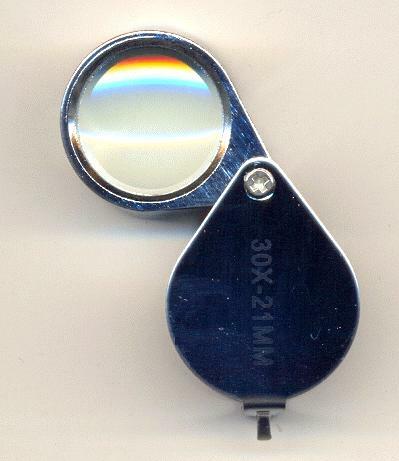 Size: 1 1/4 x 1 "
Price listed is for each jewelers loupe. These are 30x folding magnifier loupes. They measure about 1 1/4'' by 1''. These are very light weight. These are most likely made of steel. They have a loop at one end so that you can add a chain or string and wear it around your neck.